The Sea Trials of TCG Heybeliada: The first ship of the Milgem class F-511 TCG Heybeliada stared her sea trails 26 months after her launching. These test also marked an important milestone of the overall project. For the first time a indigenous designed and built warship sailed. TCG Heybeliada is scheduled for the official commissioning in Turkish Navy this year. Turkish Naval Task Force: For the first time in the recent history Turkish Navy formed a Task Force and have it sailed in the Mediterranean Sea for 2 months. During its existence the task force made 10 port visits in 8 different countries and joint exercise with various navies. 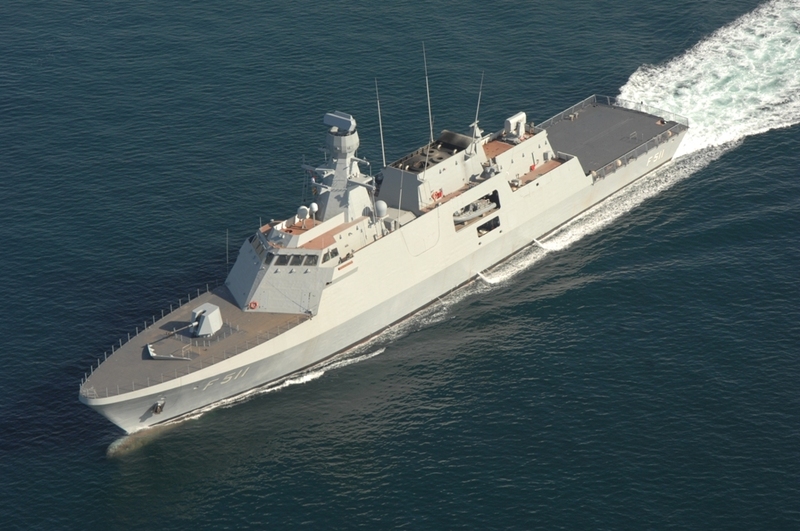 Turkish Navy intents to create another task force in 2011. This task force will sail in the Gulf of Aden, Indian Ocean and in adjunct seas and conduct port visits and other maritime duties. The Second Command of CTF-151: Between September and December 2010, Turkish Navy was in command of CTF-151 for a second term. CTF-151 is a multinational TF organized by US Navy. Its main mission is to provide security for merchant ships in Gulf of Aden against Somali pirates and to conduct interdiction operations against established pirate skiffs and motherships. One of the highlights during this period was the boarding made by US Marines to the M/V Magellan Star while the pirates were still on board. After a brief operations the pirates were comprehended white the crew of the ship was hiding in a safe room. The Sledgehammer: Sledgehammer is the name of an alleged Turkish secularist military coup plan which reportedly dates back to 2003. The trial for the criminal case has just started in 16 December 2010. But during the whole 2010 there were a number of arrest during the investigation for the case. In February 2010, 95 people were detained. 86 of these were military personnel, 70 of them in active duty including 4 admirals. I personally believe that the whole case is a text book McCarthyism. Though no one has proven guilty yet it has already hurt lives and careers of many. And most importantly it has created enough diversion and distracted all services from their primary duty of national defense as many of the top brass was busy with their personal self defense. The never ending wrestling at the Aegean: Despite the mutual visits of high ranking politicans and military personel, the constant wrestling in the Aegean continues as ever. Last year movements of Turkish warships in Aegean found a bigger than usual coverage in Greek media. The movements of Turkish warships were accused of breaching the rules of innocent passage. And usually the opposition media blamed the Greek government of being to subversive. The Turkish side insisted that the movements of the warships should be regarded within the definition of transit passage. Although the relations between the two countries seems to be better than it was a decade ago the fundamental problems still linger around.